In China, the volume of wood processing increases annually. Sharply limiting logging in its own forests, China turned to imports, including from the rich forest power of Russia. The increased demand for forest in China is responsible for increased logging around the world – from Peru to Papua New Guinea, Mozambique to Myanmar. However, the country’s demand for wood has not decreased. The global demand for plywood and furniture – the main wood products that China produces and exports – has not changed. But it is one thing for Chinese demand to overwhelm small, poor countries in desperate need of money, and quite another when it drains the resources of a much larger country – Russia, which considers itself a superpower and a strategic partner of China. As previously reported by WhatWood agency, by 2025 the gross output of the forest industry in China will increase by 50 %. To achieve these objectives, further efforts will be made to increase the supply of wood and to establish new demonstration zones for forestry. Since China began restricting commercial logging to its own natural forests two decades ago, it has increasingly turned to Russia, importing huge amounts of wood in 2017 to meet the raw material needs of its construction companies and furniture manufacturers. In Russia, members of the Russian government attacked officials for ignoring environmental damage in Siberia and the Far East. Residents and environmentalists complain that logging spoils Russian watersheds and destroys the habitats of the endangered Siberian tiger and Amur leopard. Nikolay Shmatkov, Director of the WWF forest program in Russia, believes that logging in Russia leads to forest landscapes disturbance. In WWF there were the satellite images of forest areas, which clearly shows the “barbaric” attitude to the forest. And the main reason is the harvesting boom of the forest for its sale to China. China has undergone tremendous economic transformation over the past 40 years and is now one of the world’s largest wood importers. The United States ranks second. At the same time, China is the largest exporter– the country where roundwood is converted into high value-added goods and shipped to warehouses around the world. Round timber from Russia is stored outside Manchuria, a Chinese border town. Here wood raw materials are processed, and then shipped to different countries of the world. According to the English analytical agency IHS Markit, the total cost of imports of China’s timber – unprocessed timber, wood and wood pulp – increased more than 10 times, reaching $23 billion by 2017. This amount was obtained for the period of almost 10 years, while China began to limit the volume of logging in its country in 1998. Currently, commercial logging is carried out only in forests that have been transplanted. And, according to environmentalists, other countries should also adhere to China’s chosen strategy. Once Russia almost did not supply wood to China; now it accounts for more than 20% of Chinese imports in value. In 2017, China imported almost 200 million m3 of wood from Russia. Artem Lukin, Associate Professor of International Studies at the Far Eastern Federal University in Vladivostok, noted that corruption, crime and lack of economic development in Siberia and the far East have also exacerbated the crisis in the forest industry. “In many rural areas of the Far East and Siberia, Russia has few other ways to earn money for a living than as a deforestation”, – he said. However, we should not forget that over the past few years the downward trend in the export of unprocessed round timber from Russia still persists. According to the information and analytical WhatWood agency, the reasons for the decline in exports are the high demand for sawn raw materials within the country, especially in Siberia and the Far East after the introduction of new capacities, as well as tariff and non-tariff regulation measures carried out by the Russian government. In General, China has already shifted to coniferous roundwood from New Zealand, which increased supplies in 2017. by 17% (YoY), and in 2018 +21% (YoY) to 17.4 million m3. But most of Russia’s forest stands are bordered by China. Therefore, for the development of trade in the border Chinese city of Manchuria organized one of the main centers of processing and production of wood in China. Over the past two decades, more than 120 plants and factories have emerged where roundwood and lumber are used in the manufacture of laminated wood products, including plywood, doors, Windows and furniture. According to the municipal official, the factories occupy tens of acres on the outskirts of the city and created more than 10 thousand jobs in the city with a population of 300 thousand people. For example, the owner of Inner Mongolia Kaisheng Group, Zhu Xiuhua, is quite famous in Manchuria. It began its activities in 2002, when China had just started to limit logging. Ms. Zhu initially mediated and imported timber from Russia to China. But four years later, she obtained permission to cut down Russian forests directly and founded her own company, which is now one of the largest in the city. For more than 10 years the company has achieved excellent results. Already in 2017. The News Agency of China Xinhua has estimated the assets of the company at $150 million: is the cost of the three plants in Manchuria, as well as concessions for logging in the amount of 1.8 million acres of Russia’s forests, located near the city of Bratsk, Irkutsk region, and transport them to China. It should be noted that there are international protocols that aim to monitor the legality of wood cutting. In 2008, the United States extended the Lacey act to prohibit the importation of illegally obtained timber. In some countries, such as the US and Canada, logging is strictly controlled, but Chinese companies often use weak supervision. In Russia, deforestation takes place in areas beyond designated borders, and companies exporting timber to China falsify records. Logging without contracts is also common. So the Chairman of the Legislative Assembly of the Irkutsk region Sergey Sokol spoke about the existence of existing problems in the forest industry. According to him, dozens of criminal cases related to criminal activities in the forest are initiated annually. Illegal logging takes place under the guise of sanitary measures. In 2016, the us Department of justice accused lumber liquidators of illegally importing parquet, which was mainly manufactured in China, using wood illegally cut in the Far East in Russia. Accusations of corruption have caused public anger in Russia. The issue became so acute that in January, the head of the Federal forestry agency Ivan Valentik faced the indignation of the Chairman of the Federation Council of Russia Valentina Matviyenko, who praised the eight-year work of Mr. Valentik as “unsatisfactory”. When answering the questions Ivan Valentik defended the concession, but also sought to shift the blame to a Chinese company for failure to perform its contracts — for example, by transplanting forests. He considered that it is necessary to stop direct sales of wood from Russia to China. 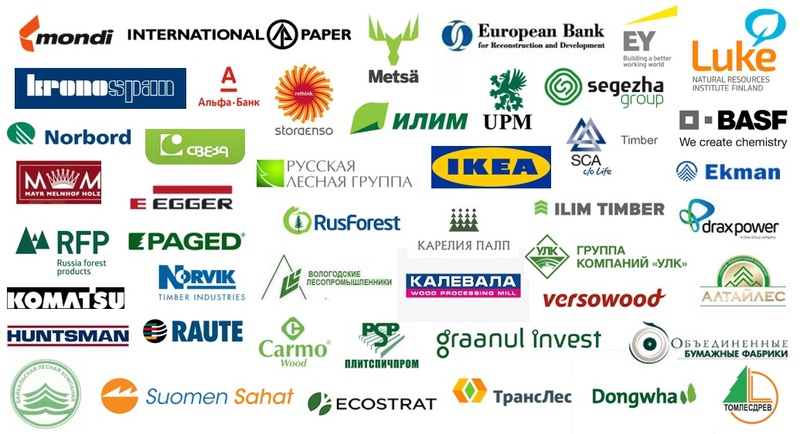 According to WhatWood Agency, already at the end of March 2019, Mr. Valentik at the annual all-Russian meeting on the work of forestry of Russia noted that in 2018, the forestry of Russia for the first time became break-even and after the adoption of the Forest code in 2006, revenues from forestry are equal to the costs of its maintenance. Revenues of the budget system of Russia from the use of forests in 2018 amounted to 46.0 billion rubles, +38% YoY (or 12.6 billion rubles). An important component of the growth in forest yields was the increase in the rate of payment for timber at the root: in 2018. + 41% and amounted to 98.9 rubles / m3. In China, the forest administration Did not respond to written questions. Officials have previously promised that Chinese companies will adhere to local laws and take into account the impact on the environment. Ms. Zhu initially stated that she was not worried about protests inside Russia, as everything her company does is done in accordance with Russian laws. However, after the last round of public hearings in Moscow, her voice sounded less optimistic. “Russia is changing now,” she said on the phone, and then refused to answer questions.